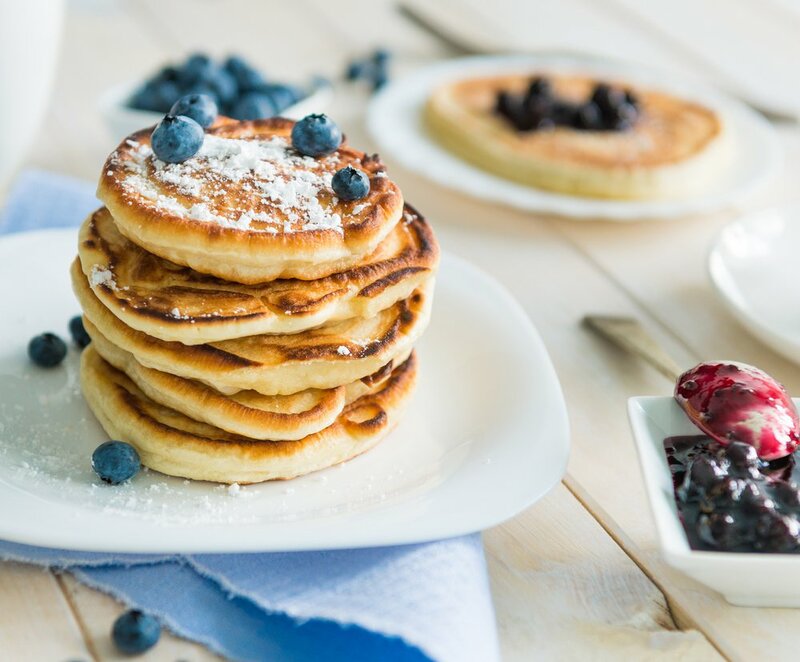 Pancakes, flapjacks or griddle cakes are an old favourite for breakfasts and snacks and the kids love them as well! 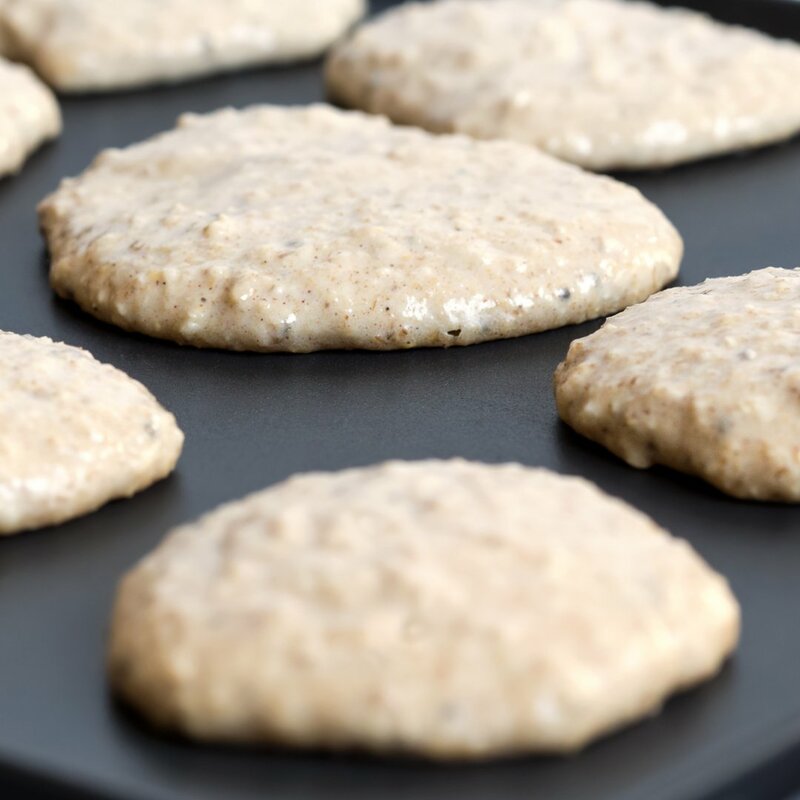 They are quick and easy to make but the traditional recipes usually use high FODMAP wheat flours. This recipe is a delicious and simple alternative with the added benefits of extra fibre. There are many toppings that you can add depending on your mood and taste, the only limit is your imagination (see the tips below for some suggestions)! Weigh or measure all dry ingredients into a food processor, blender or Thermomix and process until they are fine. Add the bananas, eggs and gradually pour in the milk and mix until the mixture has a slightly runny consistency. Add more milk if required. Rest batter for 15 mins. Note that the mixture will thicken during resting so add more milk if it is too thick to spoon into a frypan. Heat some butter and/or spray oil in a frypan over a medium heat. Spoon the mixture (about 2 tbsp per pancake) into the frypan to form ~9cm pancakes. Cook until bubbles start to form on the top (reduce the heat if required to prevent burning). Flip and cook ~ 1 min on the other side (pancakes should be golden on both sides). Top or sandwich with low FODMAP fresh fruits such as grapes, kiwifruit, strawberries, blueberries etc.